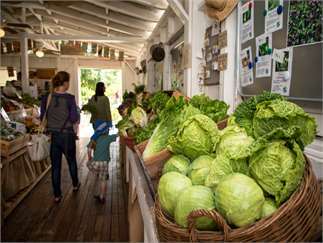 Taste and purchase fresh-from-the-field produce, delicious baked goods and organic coffee. We have a unique selection of practical gifts and tools for cooks and gardeners. You will find sustainable items to support a healthy lifestyle and the Earth including culinary and medicinal herbs, handcrafted garden boxes and quality organic seeds. Purchase a limited-edition Home Grown T-shirt and USA-made ceramic Soil Born Farms mugs. Proceeds support the restoration and development of the American River Ranch Center for Food, Health & the Environment. Everything you love about Saturday at the Farm plus a campfire! For details about activities for each Saturday, visit soilborn.org. The following dates are weather-dependent and subject to cancellation.